Whatever size your company, your IT department faces the challenge of how to effectively store and deliver applications and services going forwards. The choice of using a data centre for colocation rather than building a wiring closet for your critical systems is an increasingly tempting option. There is such a wide range of options available, however, the huge variety of choice can be daunting. 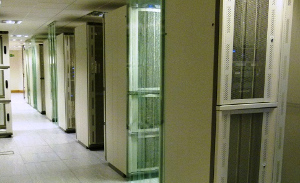 What are the main elements to consider when choosing the right data centre for your business? Nowadays you don.t have to choose a London-based facility get high performance connectivity and low latency. More and more providers are building data centres away from the capital which are more cost effective, offer better levels of service and also may be just down the road from your business. What's in the locality of your data centre should be a major consideration. With so many choices why settle for a data centre on an industrial park with poor access, dangerous industrial practices in adjacent units or critical plant shoehorned into the car park. 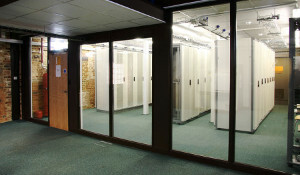 Find out about the connectivity available at your chosen colocation provider. Do they have resilient high capacity fibre connections from multiple providers? Where does that connectivity originate from? You don't want to be connected via wet string when key internet nodes will offer better far connectivity at a lower price. Connectivity away from key internet nodes requires some kind of 'tail circuit' which.ll add to the costs, reduce the reliability and scalability. How energy efficient is the facility? You should ask how old the technology on-site is and how this impacts on costs. Do the facility owners take clear steps to keep up with modern techniques to minimise wastage and keep the costs down? This is in your interest as it's you paying the energy bills. How are the costs calculated. is there any flexibility and can you amend your storage easily should your requirements change? Rent and power come out as most expensive, and a cost/kilowatt IT model is the best method of calculating the cost as it's the truest way of working out how efficient the data centre is in terms of power consumption. Tie-ins and space to grow? Is there a minimum year tie-in and how flexible are the terms of the contract? You need to be sure you will not be subject to unreasonable cost rises and that you have a decent notice period should you wish to move location or grow. It would be wise to know that your provider is willing to be flexible if you need more or less space and can adapt to any of your changing requirements quickly. 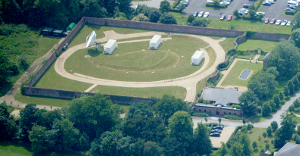 At ServerHouse we are Carrier neutral and Tier III data centre operation and provide wholesale colocation to ISP's, blue chip and IT companies across our four South Coast data centres. We offer a flexible and robust service, and with over 15 years in the industry we have the experience and know-how to provide the right colocation solutions for your business. We also offer a number of services to help support you with your IT, including off site backup and service monitoring. To find out more please Contact us.